If you don’t monitor the condition of your fire extinguisher, you could find that it is inoperable at the worst possible time. Every commercial building should have the proper amount of fire extinguishers. It doesn’t matter what type of business is housed in these structures – the possibility of a fire breaking out for one reason or another means that fire protection can’t be neglected. However, if you don’t monitor the condition of your fire extinguisher, you could find that it is inoperable at the worst possible time. Your fire extinguisher could be too old, which makes it unfit for duty. Even if it doesn’t show any apparent signs of damage, that doesn’t mean that it isn’t. It’s entirely possible for there to be some barely noticeable signs of damage that are almost impossible to spot by an untrained operator. Corrosion buildup on aluminum or steel cylinders can make the cylinders themselves weaker, especially when left unaddressed. 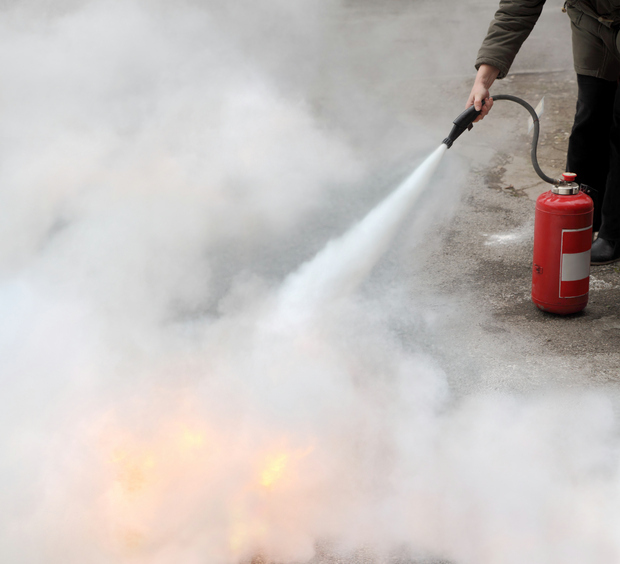 The second problem that building owners need to worry about is when the fire extinguishers they have been blocked. A blocked fire extinguisher is one that won’t work because the hose won’t be able to dispense the foam or chemicals inside. Small insects and other pieces of debris can become lodged in the hose, and most operators will not notice due to how busy they are inside your facility. Another issue to be concerned about when it comes to your fire extinguisher is if it is leaking. A slow leak can drain the charge of the fire extinguisher, which means it will have little to no pressure when activated. Although many fire extinguishers are equipped with visible pressure gauges, this is not a standard feature. For some models of extinguisher, you may not know how to diagnose a leakage. That’s why you need to consult with your fire protection partner on how to identify one. The labels on the fire extinguishers themselves need to be readable. If the labels cannot be read, then operators and technicians alike won’t be able to understand how to either use the extinguisher or complete maintenance on it. Fire extinguishers will need to have their labels replaced, so do not neglect or overlook this fact. This entry was posted on Wednesday, January 30th, 2019 at 9:35 am. Both comments and pings are currently closed.